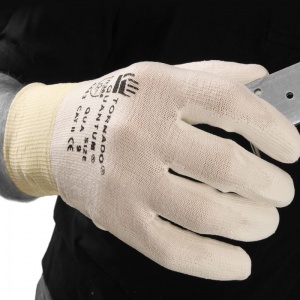 Since industrial production environments can be particularly harsh, and the risk of accidents is high, exceptionally robust hand protection is called for. Unfortunately, this can often come at the cost of dexterity and fine handling ability in certain applications. 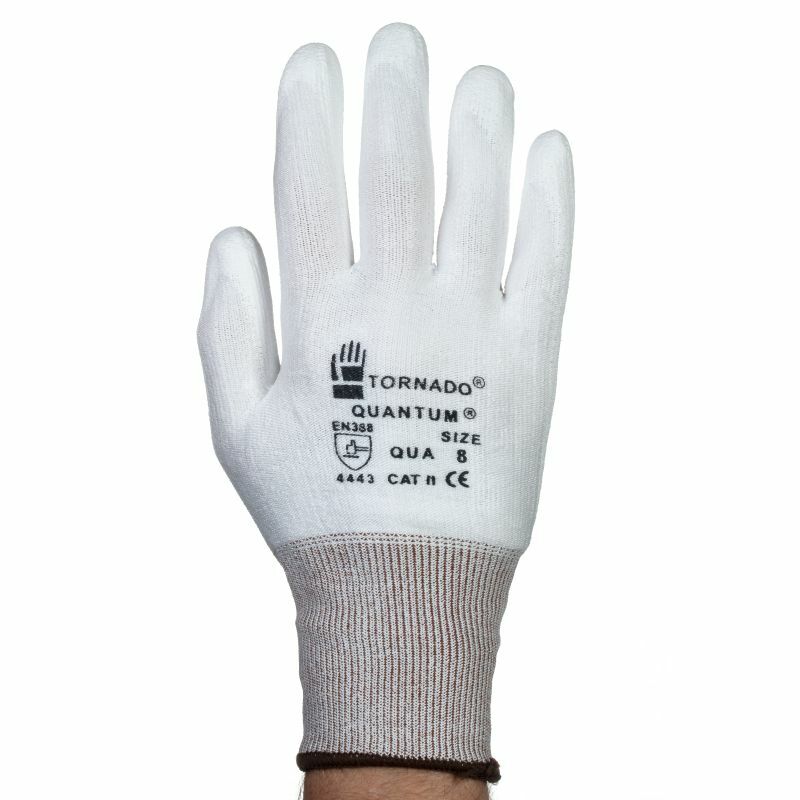 The Tornado Quantum Industrial Safety Gloves QUA have been specially developed to provide the perfect combination of protection and dexterity. 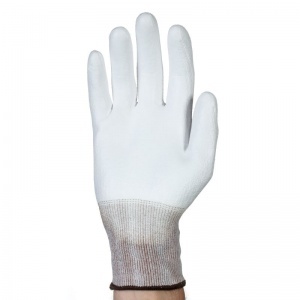 Made from technically-blended yarn, they provide high levels of abrasion, cut and tear resistance as well as excellent handling performance. 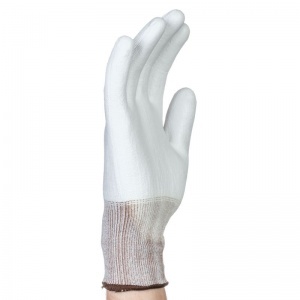 The product code for these gloves is QUA. The Tornado Quantum Gloves are made from a filament yarn, resulting in a lightweight, seamless construction. Coupled with Lycra content, this means the Quantum have exceptional dexterity for tactile handling tasks. 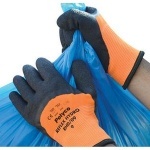 The Tornado Quantum Gloves feature a light polyurethane palm coating. 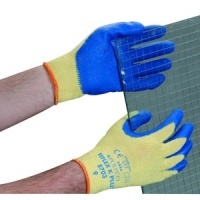 This supplies both positive grip and additional resistance to abrasion, making the gloves suitable for extended use in repetitive assembly applications. 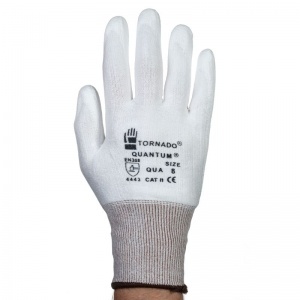 The Tornado Quantum Industrial Safety Gloves are supplied in five different sizes. Please consult the table below for dimensions and select the appropriate size for you from the drop-down menu above.